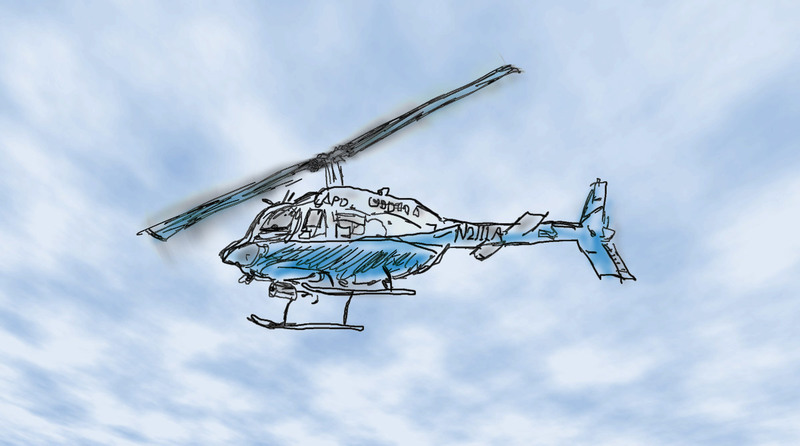 Hey, I drew this helicopter for you. Just for you! OK, it’s for me too… and actually, I traced it, but I did add an awesome blue sky with some clouds. On the Wikipedia page for Helicopter is a photo, and that photo is a Bell 206 Jetranger Helicopter owned by the LAPD, and that’s the image I used to create my drawing. And that awesome sky? If you are in Photoshop, and go under Filters to Render, the first option is Clouds, so that’s what I used. I tricked out the perspective a bit to make it even more awesome. When I was a kid, I really liked helicopters, and thought they were way cooler than airplanes (though not as cool as spaceships) and I figured one day I might be a helicopter pilot, or you know, at least get to fly in one. I think I was into helicopters even before Airwolf or Blue Thunder, and I do remember playing Choplifter a lot as a kid. I’m an adult now, and while I’ve been inside helicopters, I’ve never actually been inside a helicopter that has taken flight. Being an adult is disappointing, and boring, and lame, and stupid sometimes. But since it’s the future I do get to use a powerful supercomputer with a pressure-sensitive stylus interface to make these amazing drawings. At the first BarCampMilwaukee, in 2006, someone showed up with a mini RC helicopter (I think it was Jerry?) and everyone thought it was cool. $30 at Radio Shack? Many geeks said they’d be picking one up ASAP. So I was thinking, since Bucketworks has some major ceiling height in the warehouse section, let’s bring some mini RC helicopters and fly them around. Now, I don’t have one yet, but I’ll get one. Amazon lists a bunch, but I want to read through the reviews and try to pick a good one. You wanna fly with us? 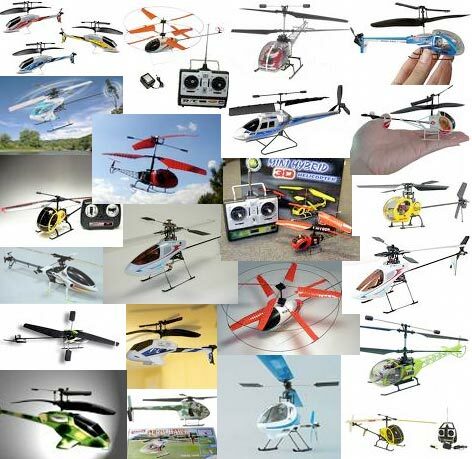 Pick up a mini RC helicopter and bring it to BarCampMilwaukee2 on Oct 13/14, 2007.